Trying to build a following for your photography on Google+? Want our suggestion? Claw your way into Robert Scoble’s circles. 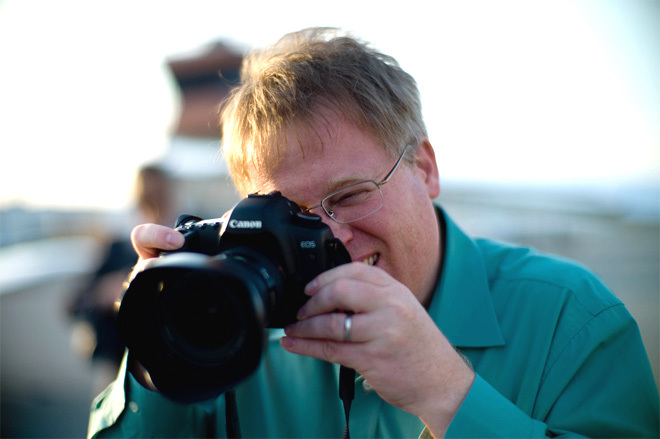 Scoble, a tech journalist and web celeb known for his scobleizer.com blog and rampant social media broadcasts, shared his entire photography circles early yesterday morning. By the afternoon some of those on the list had been put in more than 1,000 new circles. “I spent a lot of time finding these photographers and thought it would be interesting to share with people,” says Scoble, who also works at the cloud hosting site Rackspace. Circles on Google+ are essentially curated contact lists that, when shared, other users can subscribe to. Which makes the circles of someone like Scoble quite valuable for networking. On Saturday he shared his “Tech Journalist and Blogger” circle, and he says several of the people on that list quickly landed in 2,000 – 5,000 new circles. In all, Scoble says he’s spent hundreds of hours building his circles and spends at least a couple hours each day refining them. His photography list is so extensive, all his contacts can’t actually fit into one circle, since Google caps them at 500 people. They’re broken up alphabetically: A – M and N – Z.
Scoble ultimately decided to share the list of photographers on Google+ because he thinks photos on Google+ are “surrounded by a better (user interface).” He said Facebook’s use of photography is still too “cluttered.” He’s recently been doing a large portion of his usual blogging on Google+. One of the first photographers Scoble included in his photography circle was Trey Ratcliff, who started www.StuckInCustoms.com, a popular travel photography blog. “You just watch who people like Ratcliff are watching, and who they’re sharing and slowly you find hundreds of photographers,” says Scoble. Jakob Schiller is a Raw File contributor based in Albuquerque, N.M.